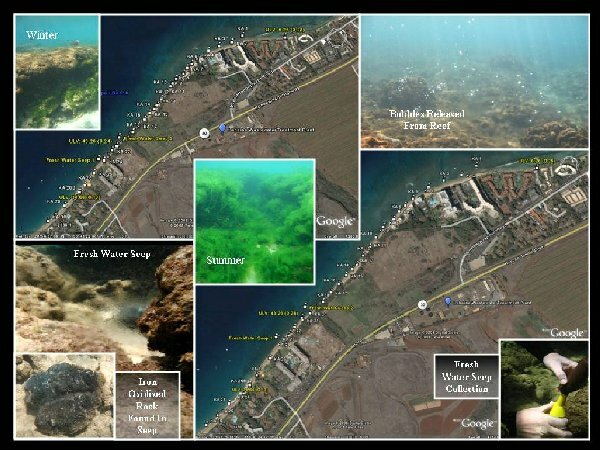 Image courtesy: Liz Foote, Coral Reef Alliance Field Manager and Ka’anapali Makai Watch Co-Coordinator. 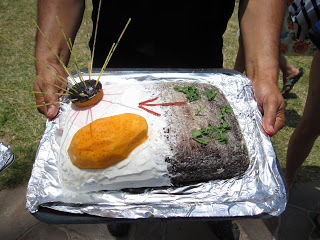 The Kahekili Herbivore Fisheries Management Area (KHFMA) turns two-years-old this month. To celebrate the progress made in protecting the area from algae overgrowth, organizers have planned a birthday bash and fish count on Saturday, July 23, 2011. The KHFMA was established in July 2009 to maintain the population of algae-eating fish and sea urchins that help to control overgrowth and degradation of coral reefs. 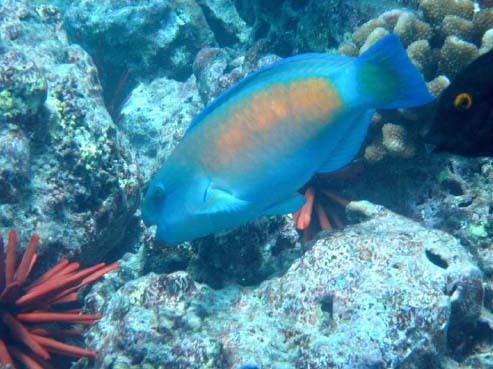 State guidelines now prohibit the take of surgeonfish, parrotfish, rudderfish and sea urchins. 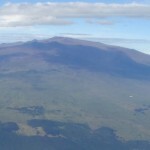 The protected area extends along nearshore waters from Keka’a Point near the Sheraton Resort to Honokowai Park to the north. As part of the two year celebration, the Ka‘anapali Makai Watch program is hosting a “birthday party” outreach event on Saturday, July 23 from 9 a.m. to 2 p.m. at Kahekili Beach Park in Kaanapali. The event will feature activities, information and demonstrations. Participants will learn about the coral reef ecosystem and water quality. There will also be opportunities to get involved with the Ka’anapali Makai program to assist with biological and human use monitoring as well as education and outreach. As part of the event, members of the Fish Identification Network will conduct the 11th Great Annual Fish Count beginning at 9 a.m. Materials will be on-hand to train individuals on how to do a REEF survey. Attendees will also have an opportunity to find out how they can help support local resource management.